While the thrill of using email has pretty much faded in recent years, mail providers still continue to introduce all sorts of new features 9 Awesome Gmail Features You Probably Don't Use 9 Awesome Gmail Features You Probably Don't Use Several cool email features in Gmail have existed for a long time without anyone bothering to use them. Let's change that today. Read More . From keyboard shortcuts that let you get tasks done quickly to features that prevent you from embarrassing yourself by sending an email without an attachment, our webmail apps are being updated silently all the time. If you’ve weighed your reasons for using Outlook on the desktop vs. the web app Microsoft Outlook Web Vs. Desktop: Which One Is Best for You? Microsoft Outlook Web Vs. Desktop: Which One Is Best for You? Outlook.com is a powerful online email client that comes free with Office Online. But can Outlook on the web compete with its desktop counterpart? Our Outlook comparison will help you decide for yourself. Read More and chose to go with the browser-based version, you’ll be able to access a convenient new feature soon. Microsoft has added the ability to add photos from Facebook and files from Google Drive from right inside Outlook. To check it out, create a new message and click the Attachment icon, which looks like a paper clip. Choose Facebook and you’ll be prompted to log in with your credentials. From there, you can browse Photos of me and My Photos from a new Outlook message without having to copy and paste them from Facebook. Similarly, you can access your Google Drive files using the Attachment icon on a message. After logging in, you can browse everything in your Drive and choose what to attach to your message. What’s more, if someone sends you a Google Doc in this way, you can view it (and edit, if applicable) from right inside the email message. You don’t even have to open a new tab to access the Google app! 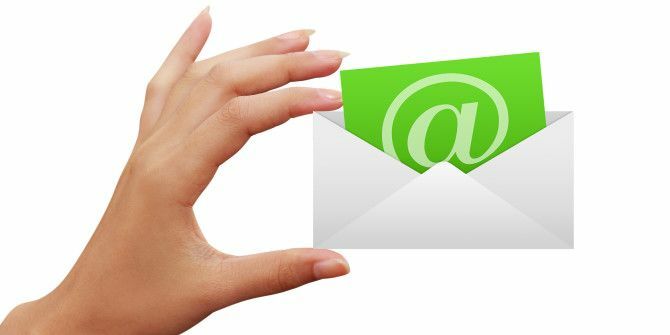 If you’re looking for a new email home, these features might help Outlook beat out the other top email contenders The Best Free Email Accounts You Need to Consider The Best Free Email Accounts You Need to Consider Everyone knows about Gmail. If you think that's the best free email account out there, you're underestimating all the other services. You have options and we have the details. Read More . Do you often find yourself attaching Google Drive files or Facebook photos to email messages? Let us know if you’ll use this feature in the comments! Explore more about: Google Drive, Microsoft Outlook.